I really like these samples because they have a short reverberation time and a nice variety of sounds. After seeing the great job Al did in extending the set, I took it as a challenge to go further. 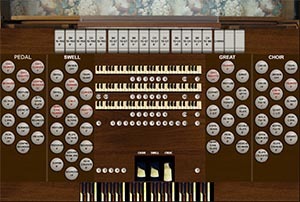 This organ is "free" in that you can download the samples from Al's web site and use them as long as you adhere to the terms he and Lars have put forth. 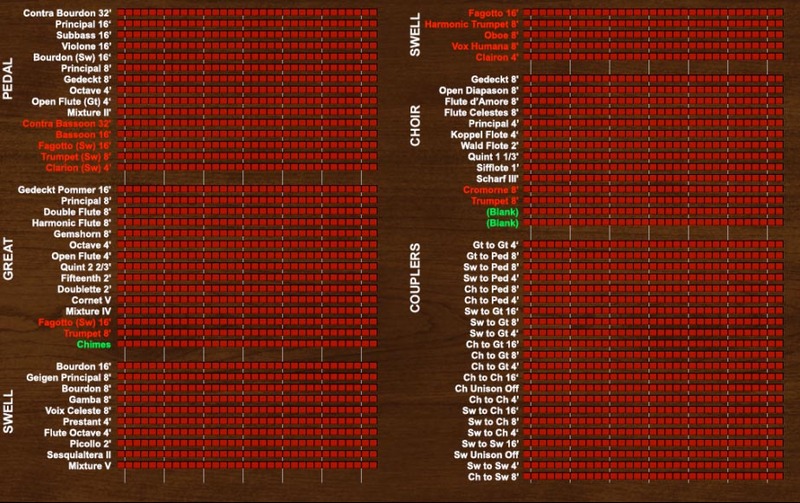 The specification of my Pitea Organ is as follows. Notice that I have added a "Chimes" stop. I am using the same sample I installed on my Model 945 organ. 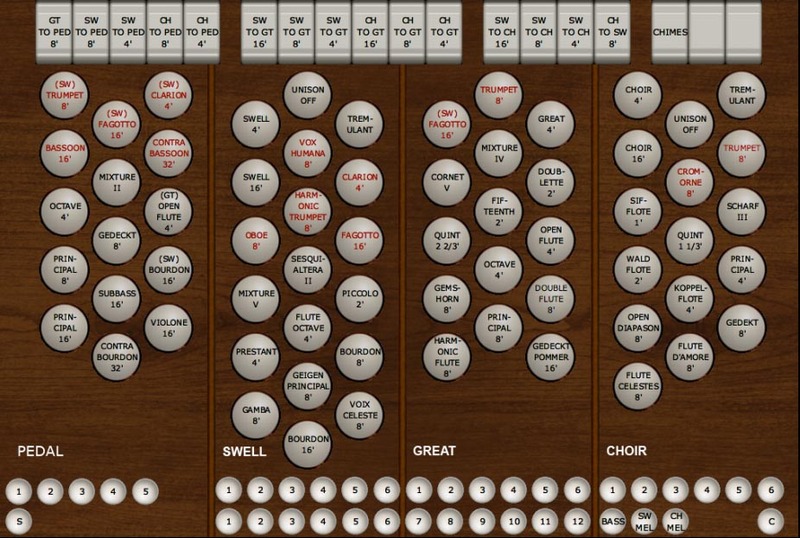 In keeping with my philosophy to keep things inexpensive and accessible, the Pitea Organ displays are sized for 1024x768 screens. 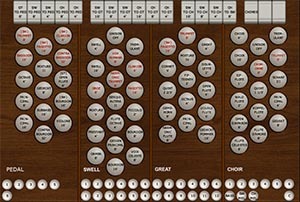 I have created a new smaller keyboard graphics set as well as small drawknobs and couplers especially for this organ. They are all made available for free. 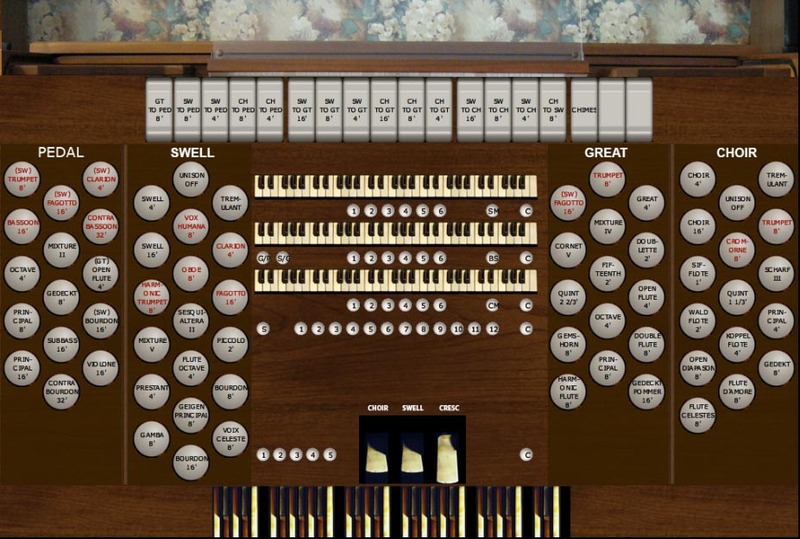 If you want to try this organ, be sure you have Hauptwerk v4 or higher (this organ will work with the Free Edition and does not require a special dongle file) and have already installed the Pitea organ from Al Morse's web site. This one is optional. I provide the source code for the Hauptwerk editor so you can see how I did all this and get ideas for your own projects. You will have to rename this file after downloading to "Les-945-v2_0.CustomOrgan_Hauptwerk_xml." I could not get the download function to work properly with the new extra-long file extension required by Hauptwerk 4! This organ is a great value. 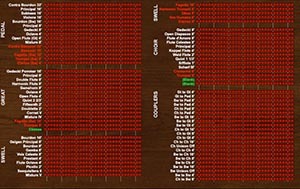 You get ~80 ranks for free (I get nothing - but I have great a day job). Since the samples are 16-bit, the instrument fits into RAM on all but the very smallest computers. The reverb on the samples is more than adequate for practicing. I add additional convolutional reverb on my recordings. There are some demo recordings of this instrument on my organ recordings page.